1. The film takes place in what state? 2. In the weathercast that opens the film, Phil employs what stunt? 3. Including the events in the film, how many years in a row has Phil gone to Punxsutawney? 4. When Rita first appears, what is she doing? 5. What does Phil tell Rita is a trait of a really good producer? 6. Who is singing when Phil's alarm clock turns on? 7. How does Ned Ryerson know Phil? 8. What song is playing as Phil enters Gobbler's Knob? 9. What is true about the actor who plays the marshal of the Groundhog Day festivities? 10. Why does Phil turn down the invitation to the Groundhog Dinner? 11. The first time he relives Groundhog Day, Phil tells the B&B manager that his chance of departure is what? 12. 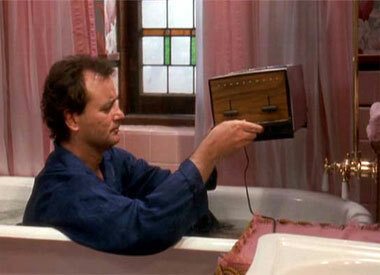 At the end of the first Groundhog Day that he relives, what does Phil do before going to bed? 17. What did Rita study in college? 18. To impress Rita, Phil learns how to do each of the following except for which? 19. What song is playing during the montage in which Rita repeatedly slaps Phil? 20. Which is not a method of suicide that Phil attempts? 21. To what does Phil attribute his apparent ability to learn the piano so quickly? 22. At whom does Phil make a pass? 23. On his last Groundhog Day, Phil does each of the following except for which? 24. Rita wins Phil in the bachelor auction for $339.88. What was the winning bid for Larry? 25. Which is true of February 3?